The Bridges Golf Club. This is a favorite of many couples due to the great views and large dining facility. Have your wedding here during the sunset hours and prepare to view some gorgeous scenes as dusk approaches. We also love the fact that the famed Bollinger Canyon road waterfalls are just minutes away from here. 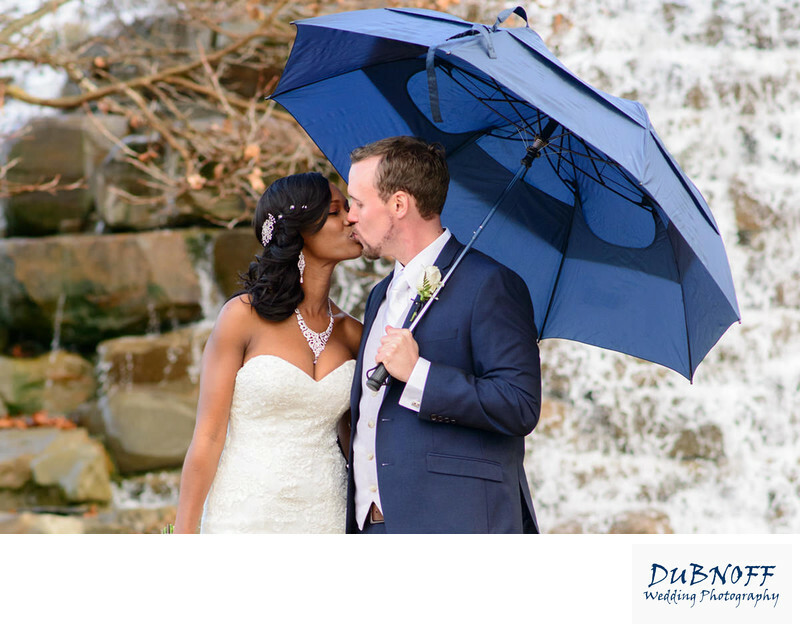 A great place to do some of your wedding photos, the waterfalls include a picturesque pond, gazebo and bridge. Wedgewood at San Ramon Golf Club. Beautiful facility overlooking a very large pond and golf course. This venue also has a nice sized indoor facility as well as a nicely placed outdoor ceremony location. They will let you on certain parts of the golf course for photos. San Ramon Marriot Hotel. Yes, it's just a hotel, but they really do have a nice set up for weddings. From a photographers standpoint, its probably one of the best hotel venues around for photos. They have a nice front area with trees and a little mini park. Behind the building there are also some nice photo spots. Plenty of parking and a central location make this an ideal wedding venue. Little Hills Ranch. This relatively new venue has a lot to offer. Beautiful outdoor ceremony area and lots of nice photo spots. They also do a great job with the wedding event itself. Its well laid out and seems like some thought went into making this into one of the nicer wedding venues in the East Bay. Its close to San Ramon downtown and yet you feel like you are out in the wilderness. Canyon View Banquet Hall. This is strictly an indoor facility with regards to wedding photography. It's a nice building with an exceptional wedding facility, but it is pretty much in the middle of a parking lot. Most people that get married here have their photos done elsewhere. Fortunately the Bollinger Canyon Waterfalls are a stones throw away! Crow Canyon Country Club. Yes it is a country club, but it is more accessible than others. You don't have to be a member to have your wedding here and the prices are more affordable then nearby Danville country Clubs. 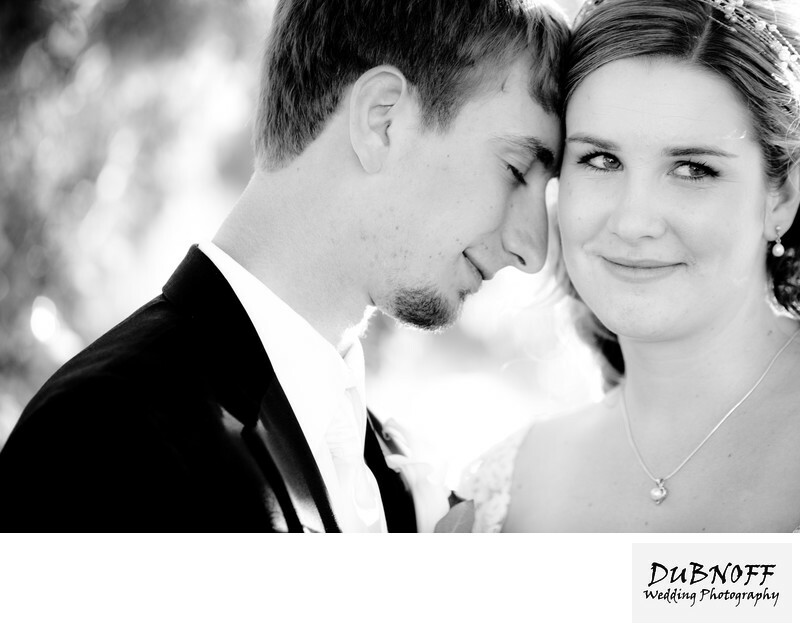 There is a mulititude of nice wedding photography spots including the golf course itself. They will allow you to take a golf cart out on the course if you stay in the restricted areas to get a few nice wedding pictures. This is normally done when most of the golfers are off the course. A favorite San Ramon Wedding venue of ours!